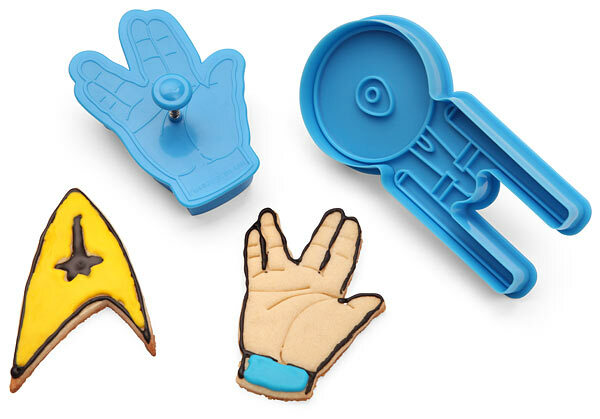 The Star Trek Cookie Cutters are an officially licensed Star Trek collectible. Ready to blast your baking into the 23rd century, this series of five cookie cutters features the symbols of the Federation and Klingon Empire, the U.S.S. Dessert Sur… Enterprise, a phaser, and a Live Long and Nom hand… Each cutter has a spring-mounted die for imprinting surface details onto your delicious goods. Now, boldly bake like no man or woman has before!